Diego: Single-cell RNA-seq is a hugely powerful tool for finding novel fine-scale cell types in complex tissues. But if we’re interested in human disease, how can we prioritize potentially trait-involved cells, out of all the newly identified cell types, for further characterization? Our idea was to focus on cell types that tend to specifically express genes near mutations associated with the trait of interest. Surprisingly, when we started thinking about this project, there hadn’t been work published attempting to connect GWAS data and such findings from single-cell assays. Diego: The development of RolyPoly allowed us to find finer-scale trait-associated cell types from complex tissues; particularly, we focused on neuropsychiatric traits and single-cell data from human brains. There had been hints of immune involvement in Alzheimer’s disease, thus we were intrigued to see this association with microglia, which are the brain’s immune cells. Additionally, there has been wonderful work clustering single-cells into cell states, which we can also scan for links with complex traits. For example, we found that actively replicating cell types from early timepoints of fetal brain development were associated with schizophrenia. These findings are exciting because they can be used to inform the development of cell type or state models that more specifically capture human disease processes. Diego: When we began this project, there were only a limited number of human single-cell datasets publicly available. Earlier this year, plans for the human cell atlas were announced, which will result in large publicly accessible datasets of single-cell RNA-seq measurements. Our hope is that researchers can use our tool along with other single-cell methods to further our understanding of biology and complex traits. Diego: As a young scientist, you should think deeply about your chosen scientific problem. However, it’s also worth considering how best to communicate your new ideas. The ability to make complex biological or computational concepts accessible is a skill that’s worth refining and will help advance your career regardless of your chosen field. As a result, it takes time and persistence to continue to refine your writing and ideas without becoming discouraged. It took us many months to finalize our manuscript. When not in the lab, Diego enjoys throwing clay coffee mugs at the ceramics studio and eating a hot meal after a long day of backpacking. Audrey appreciates listening to opera and singing karaoke. Jonathan is fond of spending time with his family, searching for the best veggie burrito at Stanford, and running through the foothills of Palo Alto. 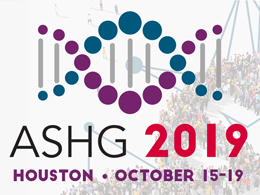 Diego Calderon, BA, is a graduate student at Stanford and has been an ASHG member since 2014. Audrey Fu, PhD, is an assistant professor at the University of Idaho, and has been an ASHG member since 2014. Jonathan Pritchard, PhD, is a professor of biology and genetics at Stanford, and has been involved with ASHG since 2002.